For more Halloween related information, be sure and check out: 15 Facts About Halloween [Infographic]. Today I found out where the word “witch” came from. 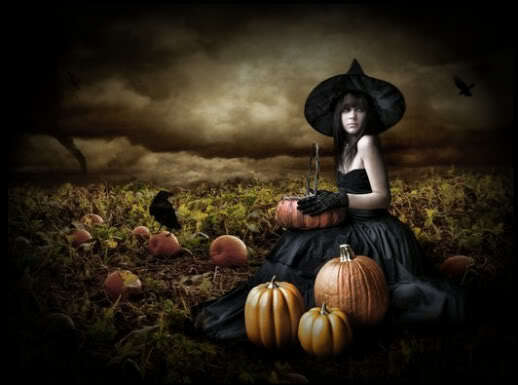 The word “witch” derives from the Old English words “wicca” and “wicce” (masculine and feminine forms, respectively). This later became “wicche”, in Middle English, which meant the same thing as “wicca” and “wicce”, but didn’t distinguish between the genders, being used to refer to both men and women. However, over time, using “wicche” to refer to men became less and less common, being replaced by synonyms such as “wizard”, “warlock”, and “sorcerer”. By the 16th century, the spelling had changed from “wicche” to “witch” and, by this time, the word was almost exclusively used to refer to women, as it still is today. However, in the Wiccan religion, it is now once again somewhat common to use “witch” to refer to both men and women. In this case, though, they use witch to simply refer to “an adherent of Wicca”. The origin of the words “wicca” and “wicce” isn’t entirely known, but it is thought the words themselves originally meant “wise one”, with the earliest references to these words in Old English always seeming to be associated with fortune telling and “teaching”, based on that foreknowledge. The word “hag” comes from the Old English hægtesse, meaning “witch or fury”. 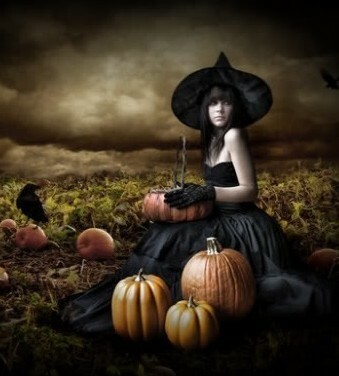 A witch costume was the number one costume sold for adults during Halloween of 2009. It was number two for kids, falling behind dressing up like a Princess. The word “pumpkin” comes from the Greek word “pepon”, meaning “melon”. Dressing up as a pumpkin didn’t make the top 10 for adults, but it did appear at number 5 for kids during Halloween of 2009. Pumpkin carving being associated with Halloween comes from a method used by the Celts to ward off evil spirits during Samuin (a festival where many of the traditions of Halloween come from). The Celts would hollow out turnips, then carve faces in them and place candles inside. The turnips were then either placed in the windows, to keep evil spirits from entering a home, or carried around as lanterns. This tradition eventually melded with the North American tradition of carving pumpkins. At this point, the carving of pumpkins, which had been around in North America before Halloween was popularly introduced, became associated almost exclusively with Halloween (around the 19th century). Candy corn is made from sugar, corn syrup, glaze, egg whites, honey glycerin, mineral oil, wax, and salt, with coloring added. Each piece of candy corn contains about 6 calories. About 20 million pounds of candy corn is sold annually, the vast majority of which is purchased for Halloween. Candy Corn was invented in the 1880s by George Renninger of the Wunderlee Candy Company. The current world record for the largest pumpkin ever grown is 1810.5 pounds, grown by Chris Stevens of New Richmond, Wisconsin, documented at the Stillwater Harvest fest on October 9, 2010. The previous world record was set in 2009 by school teacher Christy Harp, her pumpkin weighing in at 1725 pounds. Before that, it was a 1469 pound pumpkin, grown by Larry Checkon of North Cambria, Pennsylvania and recorded on October 1, 2005. These type of giant pumpkins can add as much as 40 pounds a day, about 90% of which is water.